Truth and Fear is the second novel in the Wolfhound Century series by the talented author Peter Higgins. The first book in the series Wolfhound Century was a seriously impressive novel. So much so that it won Book of the year on SFBook for 2013. The story continues right where we (quite abruptly) left Wolfhound Century; Lom and Maroussia trying and stay out of clutches of the authorities having reached the capital Mirgorod. The book hits the ground running with a swift pace that moves the story forward consistently. There is little pause or break and the plot builds in power as the novel progresses. These escalating escapades move inevitably towards an ending that is superbly played-out - creating an almost tangiable longing for the next book. The authors vision of an alternative Russia is nothing short of astounding. Filled with ancient powers, strange creatures and vast forest there is such an incredible blend of Communist Europe meeting other-worldly, alien intelligence. The way that the author manages to impart the feeling of the incomprehensibility of such alien minds as possessed by the angels is remarkable. There are enough hints of the real Russia poking through to help ground the story. When you combine this rich backdrop with an incredible story and some equally impressive characters the result is something that is breath-taking. It's a reading experience that in some ways seems unmatched. The East-European almost exotic (from a Brits perspective) Russia combines with the way the author creates a truly unique atmosphere with the Angels and other creatures. One of the reasons this works is due to the authors linguistic ability, his prose is in places quite poetic and yet maintains an urgency and at times a brutality that reminds the reader how fragile life can be. 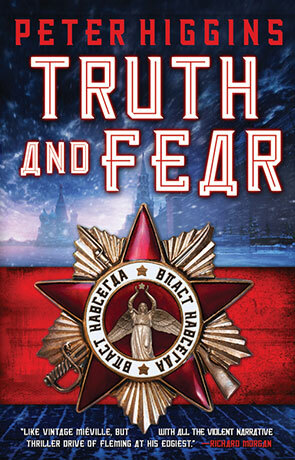 Truth and Fear delivers the impossible; improving on the previous book and drawing the reader so far down the rabbit hole they'd be forgiven for thinking they live in the ancient city of Mirgorod. Written on 7th July 2014 by Ant.